DUI checkpoints are used by law enforcement agencies throughout the state of California as a tool to reduce drunk driving and increase DUI arrests. 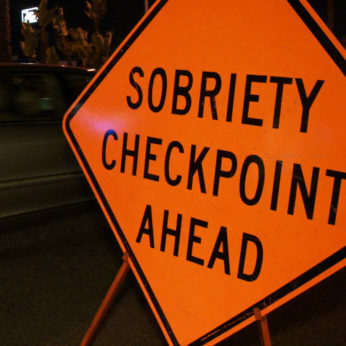 Sobriety checkpoints are allowed under federal and state Constitutions. However, if you were arrested at a DUI checkpoint in your local city, you may have been unlawfully arrested, your rights violated and your DUI could be dismissed. DUI checkpoints can be deemed as an illegal detention of a driver if proper procedures and guidelines are ignored or not followed. If a DUI checkpoint is found to be operationally defective, any evidence obtained as a result of that detention is inadmissible in evidence against you because it is considered “fruit of the poisonous tree”. Since all of the evidence in a checkpoint case is collected or observed after you enter the checkpoint most cases get dismissed if the checkpoint is deemed unconstitutional. Mr. Simons was the Attorney of Record on behalf of the National Association of Criminal Defense Lawyers and The National College For DUI Defense in Lidster v. Illinois which was a challenge to checkpoints heard by The United States Supreme Court. You may have seen a YouTube video of a person driving through a checkpoint and being harassed by an officer with an interrogation or when a driver is removed from a car for not answering an officer’s questions. Similar to how a driver is required to follow the rules of the road, an officer is also required to follow the law so as to not violate any of your constitutional rights and protections. DUI checkpoints are set for the safety of drivers and pedestrians in the surrounding area. However, illegal DUI checkpoints can result in unlawful arrests and the law enforcement agencies should be held to follow the law just as it enforces its citizens to follow the law. A DUI checkpoint could be determined an unlawful search or seizure if the procedures are so intrusive on a person that could be deemed unreasonable or unconstitutional. Several factors are reviewed to determine the intrusiveness of the DUI checkpoint, including but not limited to the leadership that supervised the checkpoint and its personnel, the discretion of the field officers, the safety conditions of the DUI checkpoint, the reasonableness of the location, whether there was advanced publicity and many other factors. Ingersoll v. Palmer (1987) A poorly constructed DUI checkpoint could lead to a number of questions on the CHP, police department, or sheriff department involved that may result in a dismissal of your case. It is important to seek out the discovery pertaining to the DUI checkpoint before your DMV hearing to try and save your driving privileges from a DMV APS suspension. If you were stopped at a sobriety checkpoint that didn’t have advanced warning signs alerting you to the official nature of the DUI Checkpoint and didn’t provide you with the opportunity to avoid the checkpoint you may have been detained at an unlawful checkpoint! At the Law Office of Barry T. Simons, our experienced attorneys and staff will review whether the DUI checkpoint you participated in was legal or whether the procedures that led to your arrest could result in a dismissal of your charges or avoid a suspension of your driving privilege.